Energy bars are one of my favorite ways to get protein and fiber. I usually eat a bar as my post workout snack or whenever I want a healthier treat during the day. Since I've tried my share of protein bars I wanted to share my favorite bar brands I like the best. I don't have any specific favorite flavors I prefer but usually gravitate towards dessert flavors like the cake and cookies! LARABARS have a combination of unsweetened fruit, nuts and spices. Gluten free, dairy free, soy free, non-GMO, vegan, kosher, and no bar contains more than 9 ingredients. They also come in some amazing flavors like chocolate chip brownie and peanut butter cookie! 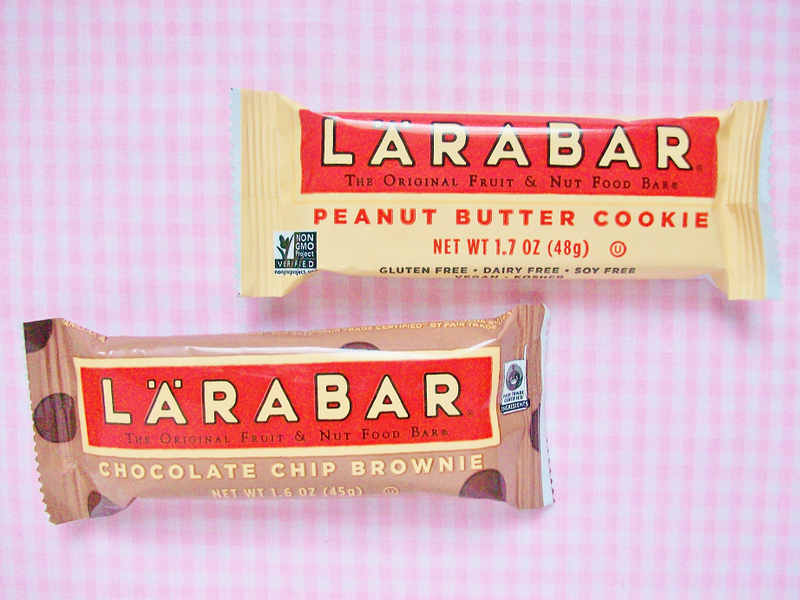 I personally love LARABARS because they are soft and chewy and of course delicious! 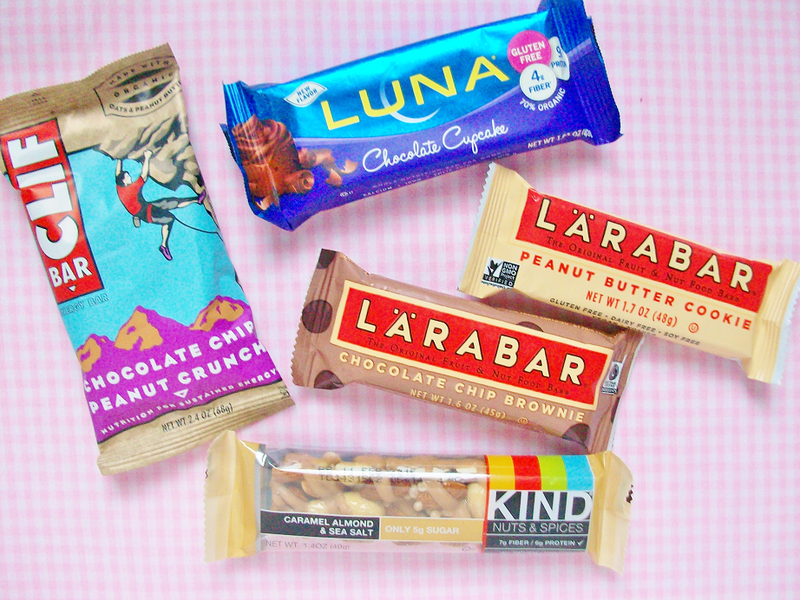 LUNA Bars are prefect for women because they contain nutrition that matter to women. 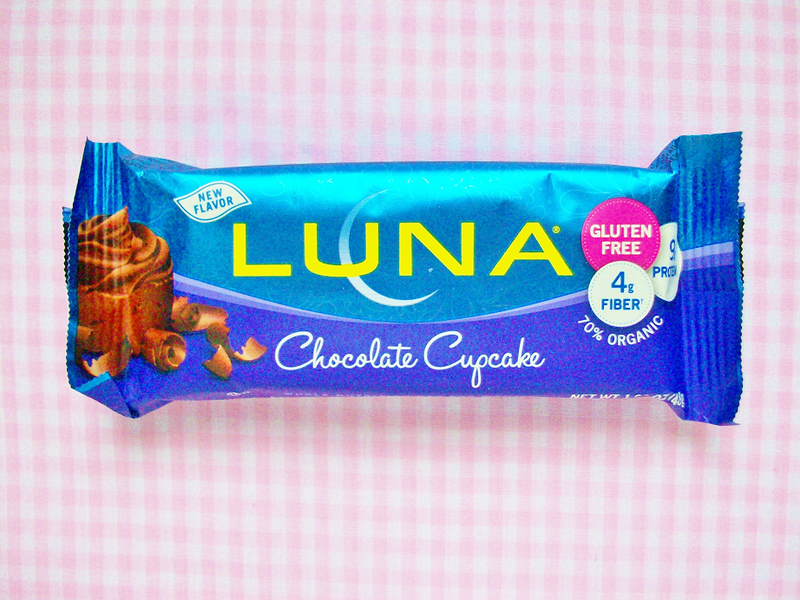 LUNA Bars are gluten free, 9 grams of protein, 4 grams of fiber, 70% organic, and come in a variety of mouthwatering flavors like their newest addition, chocolate cupcake! 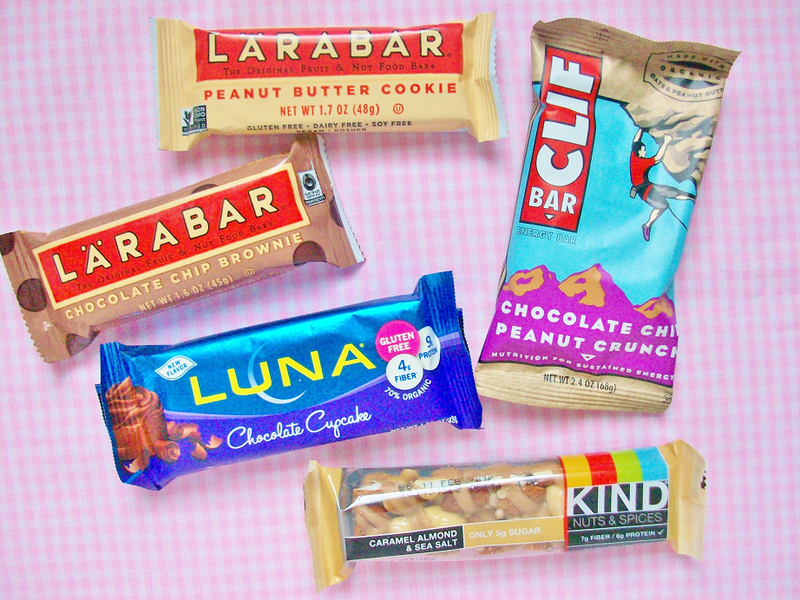 From the makers of LUNA Bars come the CLIF Bar! 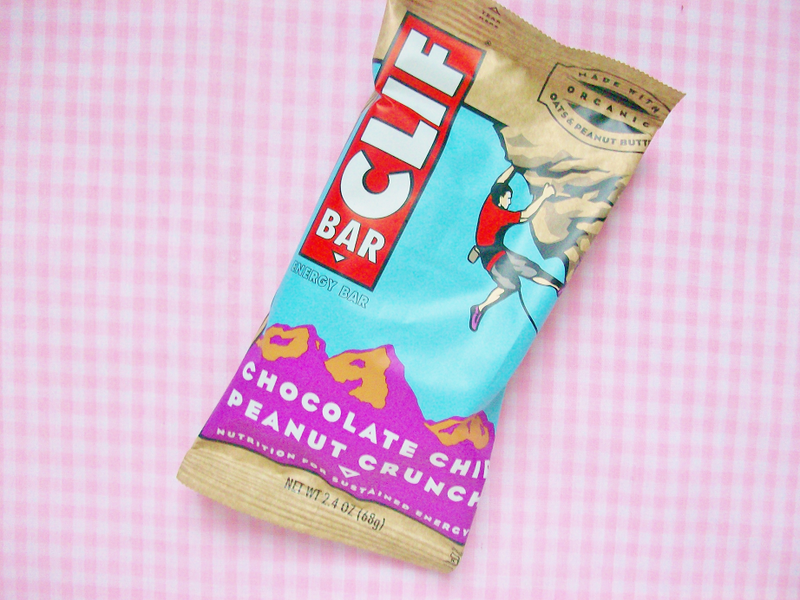 CLIF Bars are my favorite bar to eat after I've exercised because they're jam packed with protein! The bars are tough but slightly chew. Contains 23 minerals and vitamins, made with organic oats and peanut butter (only this flavor), and are a good source of fiber and protein (they're are 10 grams of protein in this bar alone!). 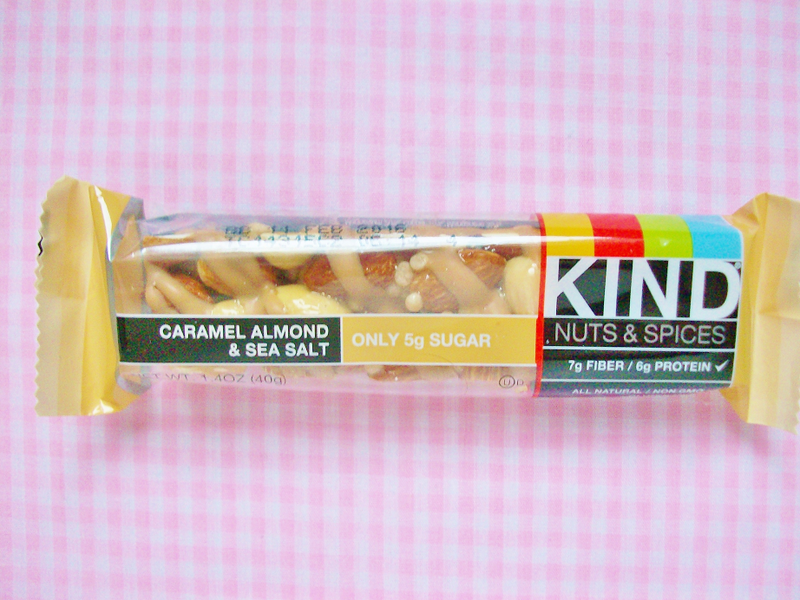 KIND bars have assortment of bars like nuts and spices, fruit and nut (my favorite), healthy grain bars, and healthy grain clusters. They're the priciest of all the other energy bars but I think they're worth it because they taste incredible!